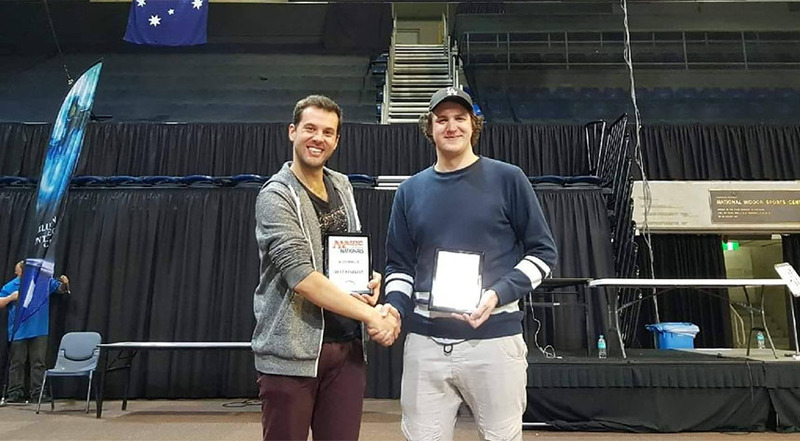 This past weekend Australia held their Nationals 2017 in Canberra – the city of roundabouts. We road-tripped up to take part in this returning 2-day, multi-format event (after five years!) 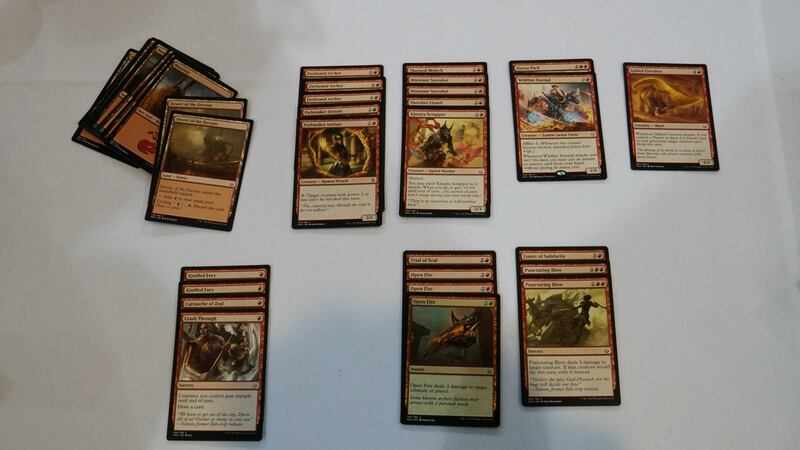 The first day of the event was 4 rounds of standard, followed by 3 rounds for the draft. Day two began with 3 rounds of draft and finished with 4 rounds of standard, cutting to a top 8. For those of you who weren’t aware, our Australian National team is now made up of captain David Mines, Ryan Cubit and, the Nationals champion, Matthew Sherlock. Congratulations to Matthew and Ryan on making it to the finals of this year’s Nats and we wish you three luck in the World Magic Cup! 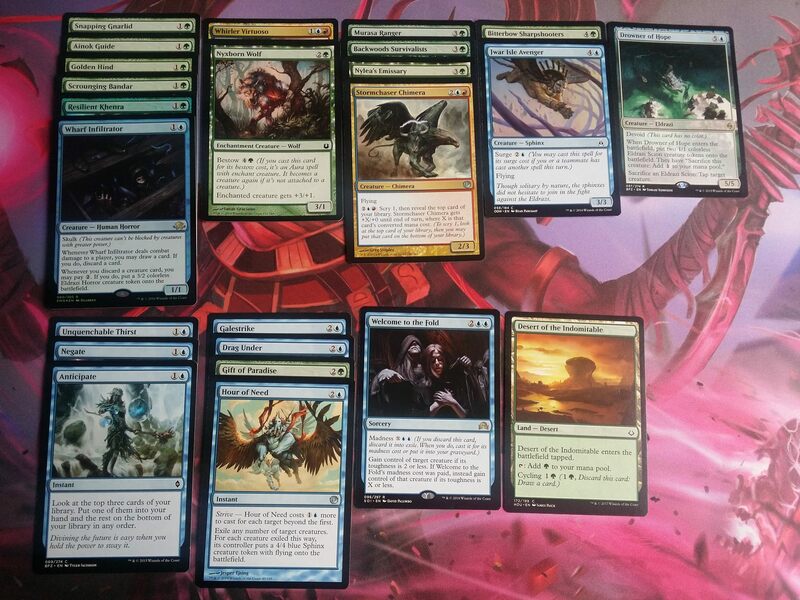 For the main event we played Temur Energy, Mono-Black Zombies and Green/Black Constrictor. With some average 2-2 results, we finished the standard portion of day 1, ready for some draft! We’re going to take a look at some of the draft highlights from the weekend, including the main event, side events and an ever-chaotic Chaos Draft. This spicy deck started off with a first pick Open Fire and the removal just kept flowing. 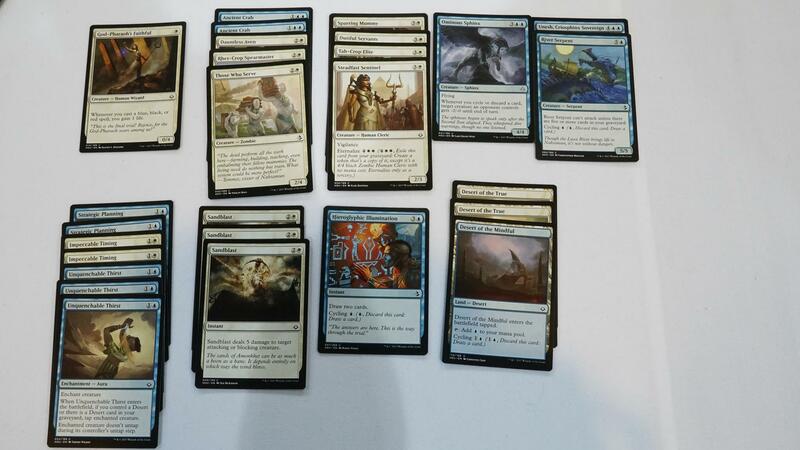 The other choices in the pack were an Ambuscade and a Ramunap Hydra. I decided that taking the splashable burn spell left me more open and was about on par with with the power level of the other cards. Passing two good green cards also sent a small signal which could potentially set me up well for pack 2. Mono-coloured decks are pretty rare in draft but they do happen when a colour isn’t getting played by anyone else, giving you the pick of the litter. Another advantage of being mono-coloured from the start means that you can reliably splash anything that comes along. Nothing appeared in this one unfortunately, so we just stuck with straight red. This deck aims to lands creatures early and let them continuously hit our opponent while we remove their threats with our great selection of removal spells. Knowing all the different spells in your deck is a good idea for a deck like this because you want to make sure you use the right piece at the right time. Sometimes you’ll need to use a Puncturing Blow on a 3/3 (over an Open Fire) to use your mana efficiently but keep in mind that if something bigger than an x/3 comes along it may be trouble! Almost every sort of limited archetype will want removal spells but this one really packs in a heap of them. Stalling the board up with Ancient Crabs is a great way to blank generic ground creatures and gum up the board to let you smash through in the air with all-stars like Ominous Sphinx and Unesh. Fact or Fiction is a great card and we love seeing it on a 4/4 flyer even more. In the current draft format of HOU / HOU / AKH, one of the more popular archetypes is the base-green “good stuff” deck. Once you’ve picked up some fixing such as Hour of Promise or the mana-king that is Oasis Ritualist (we can’t get enough of this guy! ), you’re free to pick up the best card in every pack regardless of colour; Open Fires, Banewhip Punishers and any splashy rares that turn up. You’re also ramping like crazy so Sifter Wurms and Rampaging Rhinos are incredible finishers. Ending up with a pile of two-mana creatures allows Overcome – a card that the ramp deck doesn’t care for – to really do some heavy lifting. Your battle plan is to run out bears and chip away at your opponent. Just as they manage to recover, all your creatures get a huge boost, overrunning your opponent. This is the ramp deck we just discussed and it was a lot of fun to play! Having three Oasis Ritualists and a Champion of Rhonas means that this deck can pretty reliably drop a huge threat on turn 5. As long as you can weather some early attacks this deck’s long game will get you over the finish line. In addition to the 5/5 hexproofs and 7/7 pseudo-unblockable monsters, this deck also “splashes” Chaos Maw – an incredible threat that can wrath the board while also keeping our Ritualists alive! Once we’ve got one of our finishers on the board, we can protect it with counterspells and remove any pesky blockers with our suite of decent removal. Chaos draft is a completely different beast when it comes to draft. If you’ve never done one before, they’re a heap of fun. Each player gets three packs from any number of different Magic sets – our packs were from Theros block onwards, but you could do them with Unhinged, Homelands or repacks! Add in to the mix additional “rules” the judges may throw your way (cross-pod pairings or an additional player halfway through pack one!) and you’ll never have the same experience twice! Chaos draft cares a lot less for synergy and more for raw power. Here we’ve got a pile of bears to put pressure on the opponent in the early game, some bestow creatures to pump our bears later on, and some fliers and Hour of Need to finish off our opponent. To keep the opponent behind on board, we’ve got a few tricks to slow them down and make sure our creatures keep getting in. Nationals was a lot of fun and if you get the chance to play the next one, or even a Grand Prix and you haven’t, we highly encourage it! Even if you just go along to play in the side events, you’ll have a blast. Hopefully we’ll see you at the next one! Did you head to Nationals? Got any great tales, bad beat stories or incredible draft decks? Let us know in the comments below! 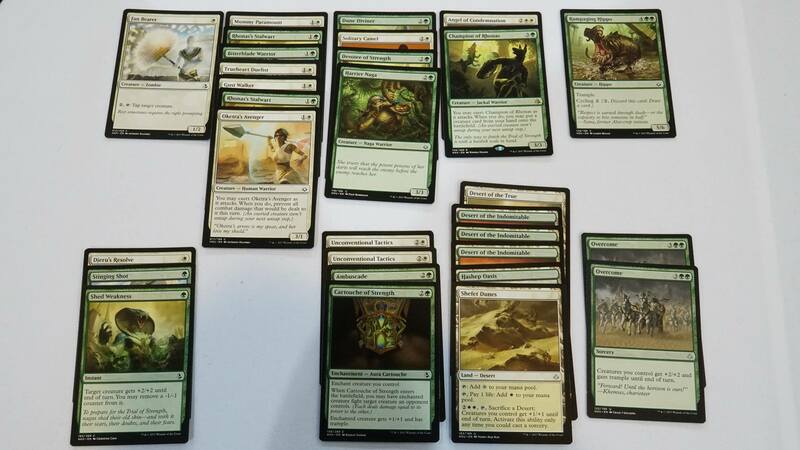 Previous Previous post: P1P1 Ixalan is up!